At Burnt Hickory Brewery’s second anniversary party in April, 500 people turned up in the first hour. Almost as notable as the attendance was the Misfits cover band and the terrifying clown, two things you wouldn’t necessarily expect in a relatively small town (Kennesaw, Ga.) in a historically conservative county (Cobb). Such is the magic of this little brewery that could. Since starting in 2012, Scott Hedeen’s passion project—a nanobrewery tucked into a small industrial park in northern Georgia—has been invited to events like Chicago Beer Week and Hunahpu’s Day at Cigar City. This fall, Burnt Hickory will expand from a 2-barrel brewhouse to 20. But for Hedeen, who won an Emmy award as a TV cameraman, the slow growth has been deliberate. That fandom has led to Hedeen’s modus operandi of sorts: “a small brewery with big beers.” These include Ezekiel’s Wheel (regulars call it “Zeke”), an American Pale Ale, a red velvet Porter dubbed Courageous Conductor, Fighting Bishop, a Belgian-style Tripel with green peppercorns, and Cannon Dragger, a much loved IPA. A dedication to quality also explains the brewery’s slow, steady growth. Rather than taking a bunch of money up front, Hedeen—who personally financed Burnt Hickory with his brother—focused on fine-tuning recipes on a smaller level. This, in turn, has helped him make smart choices with his money. Burnt Hickory does have some swag though, like limited-edition T-shirts designed as homages to Cheap Trick, Black Sabbath and the Wu-Tang Clan. The shirts are an expression of Hedeen’s other passion: music. He’s a bit of a fanatic. Over the years, he’s made beers in honor of bands like The Jesus Lizard, Mudhoney, The Germs and Killdozer. 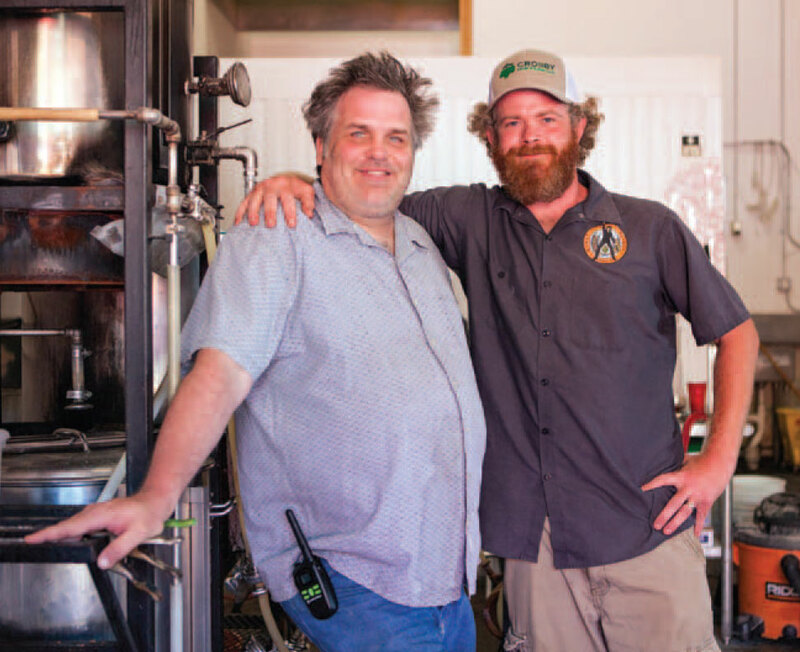 Burnt Hickory’s slogan—“Free your mind and your glass will follow”—is a riff on a Funkadelic song, and he even sold a Nirvana set list to buy his first fermentation tank. Namechecking the California punk band whose singer, Pat Fear, died last year, this fruity, flavorful Imperial Apricot Saison is perfect for summer drinking. A well regarded Pale Ale in Georgia, this dry, drinkable beer is known as “Zeke” by regulars. This sessionable ESB is one of the few lower-alcohol Burnt Hickory beers. This complex, spicy Tripel packs green peppercorn heat. A big, citrusy hop bomb, this borderline DIPA is becoming one of Burnt Hickory’s most-favored selections. A spiced fall offering named after the Wisconsin rock band. At the same time, he wonders about Georgia’s future. Given its number of breweries and the laws prohibiting them from selling on-site, this southern state isn’t a particularly magnetic destination among beer geeks, but with an ever-increasing field (at press time, more than a dozen Atlanta-area breweries and brewpubs were in the works), folks like Hedeen are looking to change that.